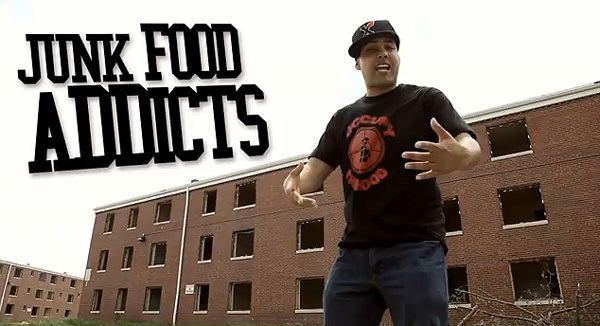 Brother Jesse Blog: Jasiri X collaborates with SHIFT Demand to release "SNACKS KILL" video to promote healthier eating: "If it's all artificial can you even call it food?" Jasiri X collaborates with SHIFT Demand to release "SNACKS KILL" video to promote healthier eating: "If it's all artificial can you even call it food?" Snacks Kill, Snacks Kill! In collaboration with Shiftdemand.org, Jasiri X has released a new video to help promote healthy eating in the Black community. The song and video is titled "Snacks Kill". Directed by Ruff Bone, Jasiri kills this track and goes right at the detrimental impact of snacks, fats, non-energy drinks, high fructose corn syrup and the marketing engine of fast food chains. Do you live in a food desert? "At the corner store, they ain't got fruit, they ain't got vegetables, they ain't got juice...if it's all artificial can you even call it food?," raps Jasiri X, the popular hip-hop artist and activist. "Believe, if we had better choices we'd do better." Press Play Below and Remember: The Food We Eat Should Heal Us and Restore Us!